Drug delivery: Blood stem cells could ferry the protein missing in Angelman syndrome into the brain. Modified stem cells show promise for delivering gene-based therapies to individuals with Angelman syndrome. Researchers presented the preliminary findings, based on two mouse studies, today at the 2018 Society for Neuroscience annual meeting in San Diego, California. Angelman syndrome is a genetic condition characterized by intellectual disability and motor problems. People with the syndrome have a mutation on the copy of the UBE3A gene they inherited from their mother; the gene’s paternal copy is unaffected, but silent. Many research projects on treating Angelman aim to unsilence this copy. In a 2016 study, researchers identified a protein that can block expression of the genetic fragment responsible for silencing paternal UBE3A. This protein crosses the blood-brain barrier and boosts UBE3A expression when injected under the skin of an Angelman mouse model1. It wouldn’t be feasible to treat people with this method, however: They would need frequent infusions, or pills, containing large amounts of the purified protein, which can be prohibitively expensive. As an alternative, the researchers have modified mesenchymal stem cells, which can be derived from bone marrow or cord blood, to produce the protein. The cells boost UBE3A paternal expression three weeks after being injected into the hippocampus of 6-week-old Angelman mice. The boost persists 6 weeks after the injection but appears to drop by 10 weeks, says Peter Deng, a graduate student in David Segal’s lab at the University of California, Davis, who presented the findings. Transplanted mesenchymal cells may not survive in the body long term. This could explain why the positive effect of the treatment wanes, says Deng. “We are trying to make new modifications to the protein so that even once the stem cells go away, the effect itself persists,” he says. In another unpublished study presented at the meeting, a different team at UC Davis used hematopoietic stem cells, which give rise to blood cells, to release UBE3A into the blood. In this method, the stem cells carry a virus that produces UBE3A tagged with a molecule that facilitates the protein’s uptake into cells. The team has used this approach to develop an experimental treatment for HIV infection and for a metabolic condition. They have developed modified stem cells from human cord blood that can secrete UBE3A. 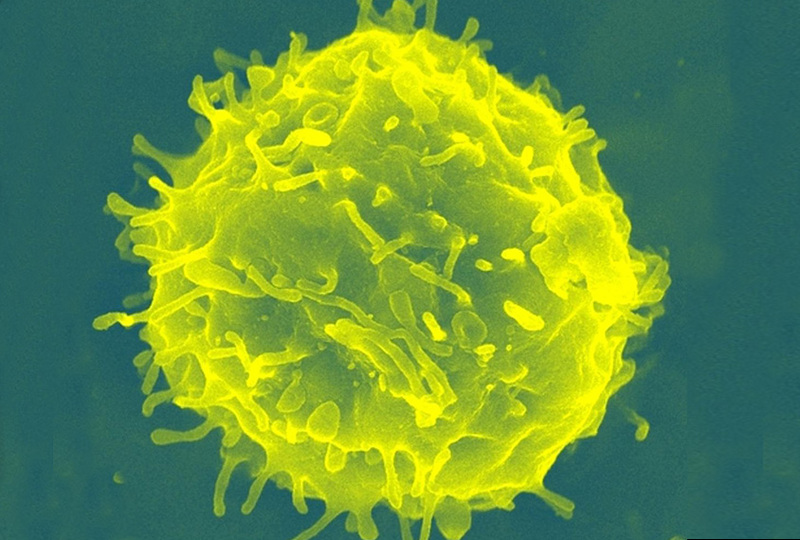 Before they can test the method in mice, researchers first need to tamp down the mice’s immune systems so that they don’t reject the human stem cells. However, it’s difficult to assess the effects of the treatment in the immunocompromised mice, as they tend to be extremely sick. As a solution, the team developed mice that are only slightly immunocompromised and carry the UBE3A mutation. These mice “have the potential to be a game changer,” says Jill Silverman, associate professor of psychiatry and behavioral sciences at the University of California, Davis. Silverman analyzed mouse behavior for both studies. She says she expects to test the stem cells in Angelman mice by March. The treatment would have to be given to people with Angelman as a bone marrow transplant, so they, too, would need drugs to suppress their immune system. One limitation of both new approaches, however, is the risk of producing too much UBE3A. “We are constantly worried about the level of UBE3A being too much because of the link to autism,” Silverman says.